Features SureHook™ technology with revolutionary built in tension springs. 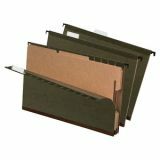 Pendaflex SureHook Reinforced Hanging Folder, 2 Dividers, Letter, 1/5 Tab, Green, 10/Box - Separate related project papers into categories in hanging folders. 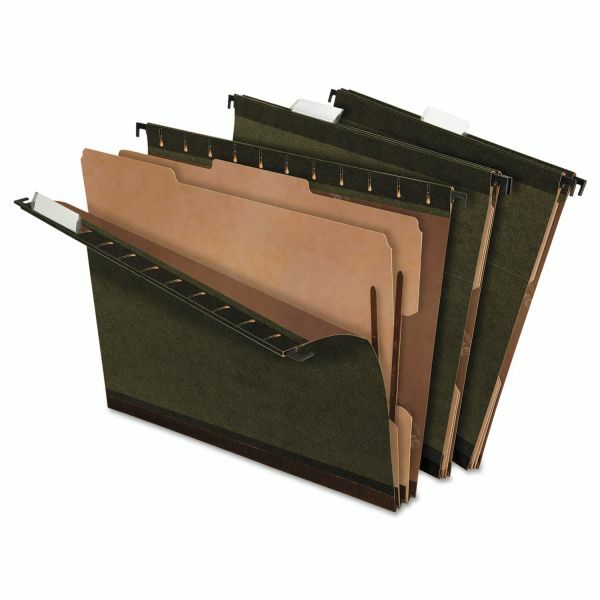 Built-in Kraft dividers with two-sided fasteners create size sections. Folder offers 2" expansion and superior durability with patented polylaminate reinforced at all critical wear points. Includes clear tabs and blank white inserts. 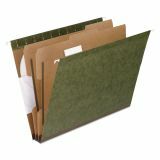 Made with 100 percent recycled with a minimum of 50 percent post-consumer material.